Last Year Facebook bought Whatsapp for 19 billion dollars. The announcement was followed with news that Whatsapp will be venturing into Voice calls, to rival other Messengers in this space like Viber, Line, WeChat and Blackberry’s BBM. In its latest updated dubbed the Whatsapp 4.0, users can finally call via Whatsapp using the internet data, via Wi-Fi or 3G/4G. The feature was limited to Android users only and the news of iOS and Windows Phone users to soon get their apps enabled. With the update, Whatsapp revamped its service adding a new tab called calls that keeps a log of phone calls made. To be able to make the calls one has to update their application. The user taps on the new call icon at the top of the screen. That begins the process of making a call to a person on the contacts list that has WhatsApp on his phone. Initially one had to invite one to the call a feature replaced by the tap as is with the phone dial pad. 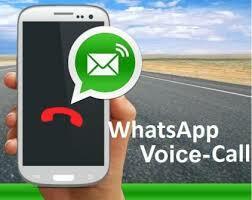 Whatsapp has over 700 Million users worldwide making it the largest social messaging application. The launch into voice may spell doom for most Telcos who were already experiencing a drop in the usage of text messaging due to emergence of such applications. The prominence of Whatsapp may present a challenge for Voice revenue for most Telcos including Kenya where almost half of Kenya’s mobile users use Whatsapp according to a poll conducted in 2015. The number may have risen since. I tried using the service this morning and so far so good especially with call clarity. This one will face a lot of hiccups but will still win at the end. Just like digital migration and the companies being disrupted, the media houses. How much will it cost compared to Safaricom/Airtel calls? Cost? This will use your data, so the costs are those you will incur for internet use, free if you’re on WiFi. OK. Perhaps a better question is how much data or at what rate is data consumed when you make a call over the internet? Or is it possible to track Internet call-costs in the first place? That should be possible via almost any smartphone, it will tell you data use of each. You can then compare before WhatsApp call and after. That should work. Thanks. Important to note, though, is that while WhatsApp calls may be substantially cheaper, it’ll probably take a lot more convincing to have most people migrate from MSP calls to VOIP/OTT calls, as evidenced by the lack of prevalence of Viber, Skype, Facebook Video Calling, etc. It takes a lot of marketing to overcome inertia in consumer behavior, and I can’t imagine WhatsApp (or Facebook) actively campaigning along leading MSPs. I hear you. But with convenient solutions comes disruption. Viber and Skype aren’t guaranteed, but WhatsApp has a more active user-base. This should be a study. Sure, WhatsApp has far more reach, and even if people are slow to adopt new solutions, they eventually come around. Plus with the passage of time and exposure to a growing variety of solutions people become quicker in trying new things. I don’t think it’ll replace standard voice any time soon. Interoperability(unless you’re on whatsapp, you can’t use it), Qos(I tried it on WiFi- 4mps dedicated fibre connection -and there is a slight delay) are some of the issues plaguing mobile voip. Standard carrier grade voice is just too reliable. What poll is this you mention on WhatsApp usage in kenya?